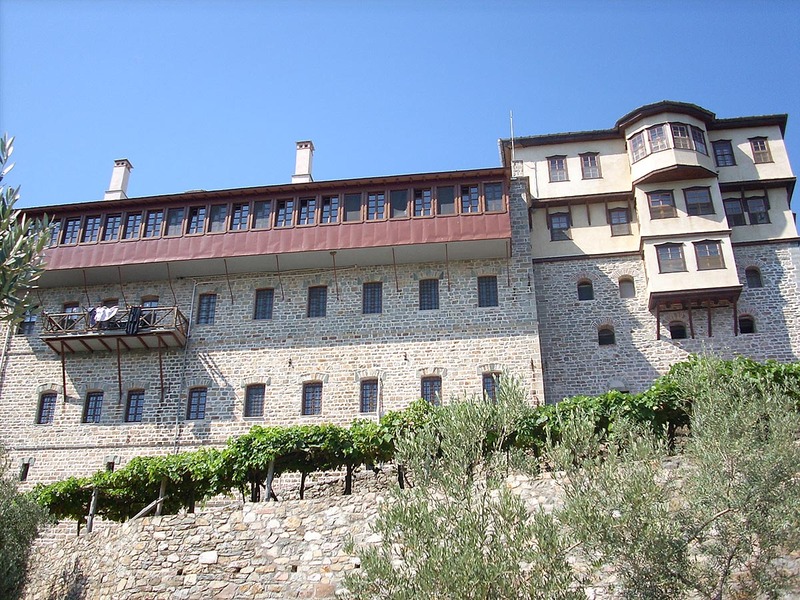 The Monastery of Karakallou celebrates on the 29th of June the apostles Peter and Paul. The founder of the Monastery remains unknown although many wanted to attribute its establishment to the Roman emperor Karakalla or to a monk Nikolaos Karakallos. It is likely however that the name comes from the Turkish expression "kara kale" which means black fortress or "kara koule" which means black tower. 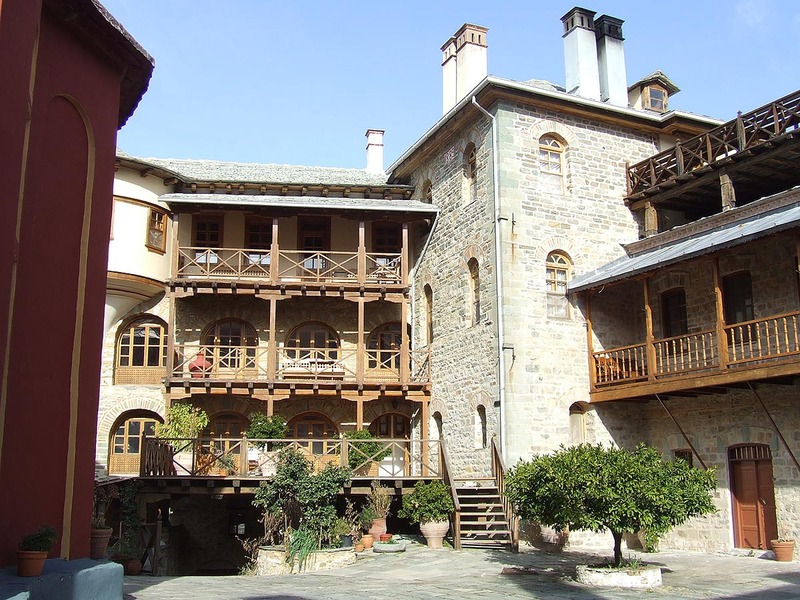 The document of the Monastery which ratifies the establishment was lost by the various raids that occurred but a document of the Head supervisor Nikiforos of 1018 mentions its establishment. 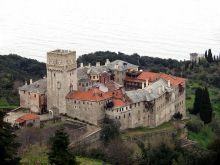 The Monastery is located on the north east side of Mount Athos in an altitude of 200 meters, it is 30' from the sea and 3 hours from Karyes. It is the 11th in hierarchy among the monasteries of Mount Athos. 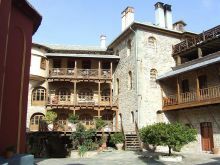 The Monastery Karakallou, like most monasteries, in the first two centuries since its establishment received raids and was looted by pirates and Catalans mercenaries and in the 14th century it was almost completely deserted. 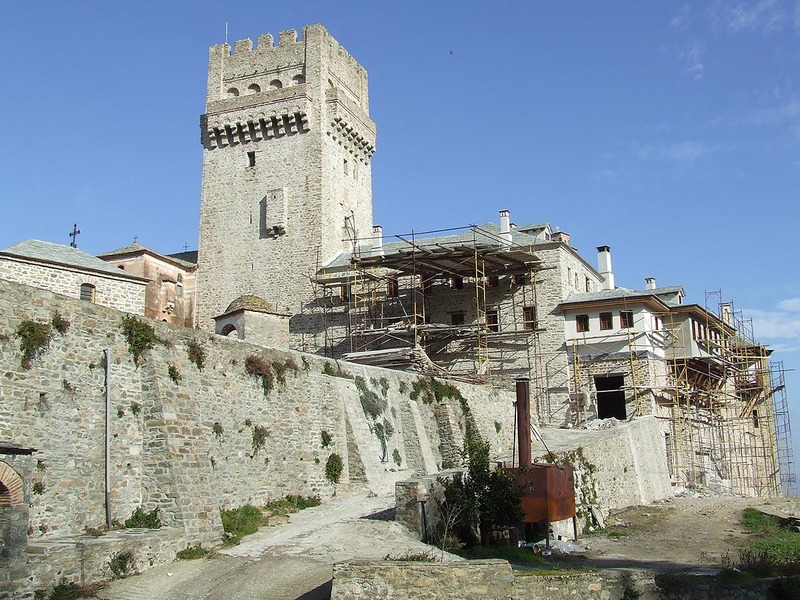 The complex that was destroyed was renovated in 1294 by Mihael IV Paleologos and Andronicos II Paleologos and later by Ioannis V Paleologos. Assistance was also offered by patriarch Athanasios and Head Supervisor Isaak. 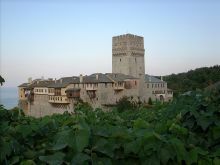 The monastery was destroyed again but it was built and renovated thanks to the large donations of the voivode of Moldova Ioannis Petros IV Rares who was honored as the second founder. 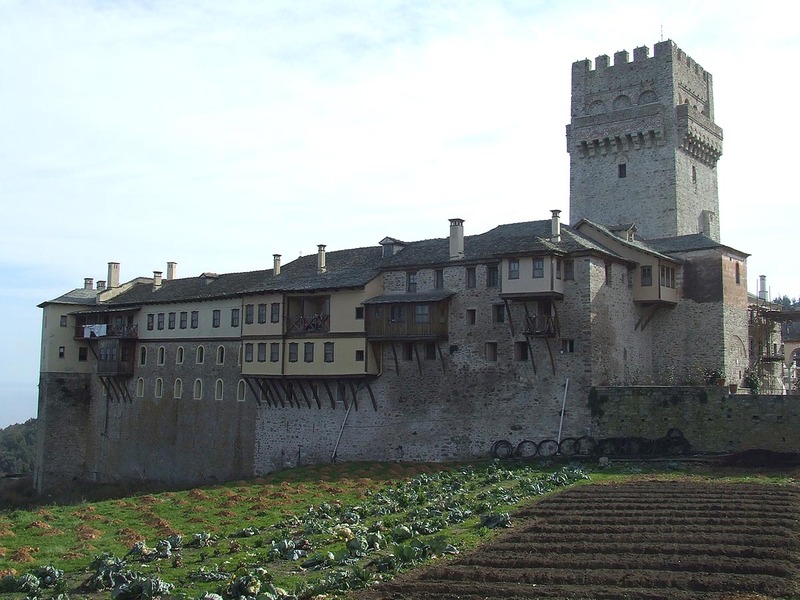 His daughter Roksandra offered economic assistance in 1570 so that the monastery could regain most of its land. Another benefactor was the daughter of Suleiman. In the 17thcentury the kings of Iberia Arichel and Vachtag contributed with donations towards the prosperity of the Monastery around 1674. In 1879 a fire broke out after which the Prothesis, the hostels and several cell wings had been rebuilt. The defensive tower was built with money offered by the voivode Ioannis Petros and it was built by the abbot Germanos at the beginning of the 16 th century. The erection of the tower with his own Prothesis and chapel was completed in 1534. The Katholikon was built in 1548, it was completed in 1563 and it was painted in 1716 while the esonarthex was painted in 1750. The murals of the exonarthex were painted in 1763. At the monastery there are 5 chapels within and 2 others outside its walls. 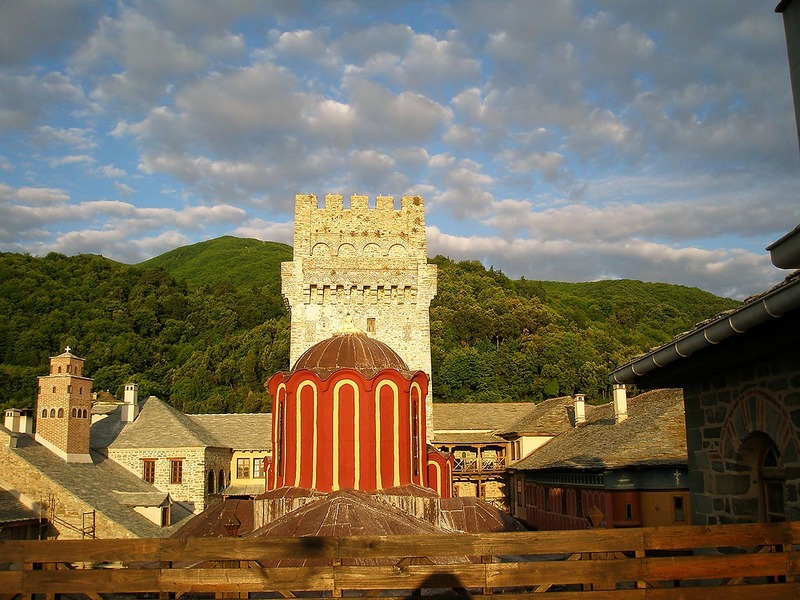 In the library there are 279 manuscripts where some of them date back to the Byzantine era. From the 42 parchments the one of high value is the code no. 11 of Karakallou (10 -13th century), 2,500 printed books and 1 ecclesiastical scroll. In the sacristy of the monastery there are pieces of Holy Wood, sacred relics, filigreed gold canonicals and functional utensils. Also there are several portable pictures from which the most important is the picture of the Apostles Peter and Paul to whom the Monastery Karakallou is dedicated. The picture's from the painter Konstantinos Paleokapas in 1540. Another important picture is the one of the Twelve Apostles, a work of Dionysios from Fournas in 1722, which is located at the wooden carved iconostasis of the Katholikon. 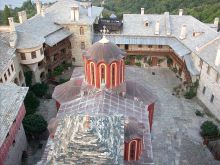 Guests should visit the Katholikon with frescoes and the pictures of Dionysios from Fournas (18th century), the historic library with its rare handwritten codes and of course the famous tower of the Monastery.